Headquartered in Pittsburgh, PA, Cohen & Grigsby law firm is made up of more than 130 experienced attorneys who practice in more than 30 distinct areas of the law. 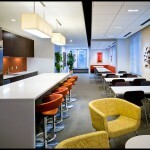 This project entailed the buildout of their new space in the Dominion Tower downtown Pittsburgh. 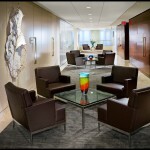 The scope included 85,000sf across four floors, completed in five months. 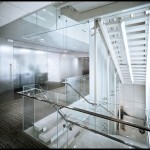 A special feature of the space is a monumental glass staircase. The firm moved from Stanwix Street, with no interruption to daily activities of other tenants in the building and no loss of billable hours due to a precisely scheduled move which was coordinated by A. Martini & Co.